I've been working hard on lots of new work for these upcoming solo shows! Get a sneak peak on the Gallery page! And New Editions for 2019 for sale on the SHOP page! 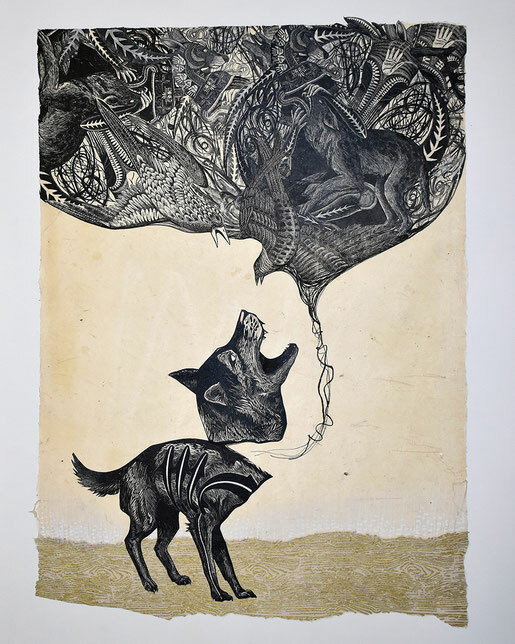 Enhanced by printmaking’s history of narrative, my work delves into the shared histories of humans, as told by animals. 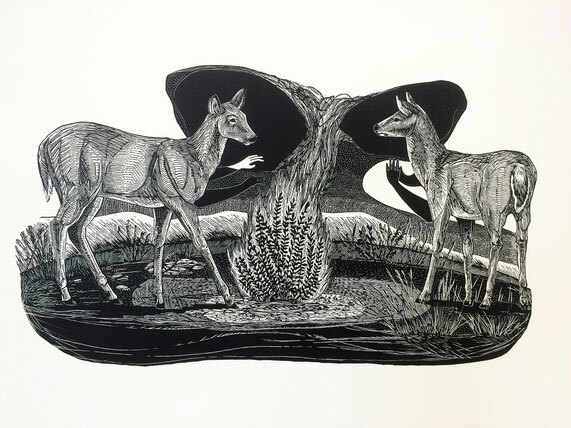 These compositions are full of animals within animals, a reference to animal cognition and spirits within animal bodies. Personal narrative is woven with ancestral, tribal, Biblical, mythical symbols and stories which make these pieces both familiar and challenging. Animals have no race, religion, or creed, can be as easily feminine as masculine or somewhere in between. Therefore, they can tell universal stories which weave anthropology, art history, and spirituality - our shared humanness - better than their human counterparts. In our ever changing and sometimes frightful present day, we need to be reminded of the universality of all things, including the human race.